My obsession with this year's rhubarb has got a little out of control. I'm prepared to admit that. It started quite innocently with the rhubarb and ginger crumble, continued fairly reasonably with a creamy rhubarb fool, started to get a little out of hand with a heavenly rhubarb pavlova and resulted in my falling for this satisfyingly moist spiced rhubarb cake. After the pavlova, I promised myself that I would hold back from purchasing more rhubarb, but once I spotted this cake in this month's edition of BBC Good Food Magazine, I knew I had to have it. Refusing was futile. But I know it is time to move on. Embrace the new treasures that Spring has to bring. Before I do move on though, I thought I'd better share this treat of a cake. It is not overly spice, just a pleasing gentle warmth from the ginger and mixed spice. Next time I'd be tempted to up the ginger, or perhaps add a little chopped stem ginger for added oomph. As for the original recipe, you'll find it in the May edition of BBC Good Food. Below, is my version. I have always hated recipes that ask you t weigh out liquid ingredients, especially when they are sticky as here with the golden syrup. Weighing golden syrup is a ridiculous activity. I meant to measure it out for you in something more useful - like tablespoons - but forgot. My only advice would be to lightly flour the bowl for weighing it out so that it slides out more easily. Or, if you have the kind of scales which enable you to weigh stuff in any container, place the food processor bowl on to them, set the scale to zero and pour the syrup directly into the mixture. 1. Heat the oven to 180C or 160C fan. Put kettle on to boil. Butter and line a deep 20cm square cake tin. 2. Sift the flour and spices into a bowl and lightly mix together. 3. Place butter and sugar into a food processor and beat together until light and fluffy. Add the golden syrup and whizz in the processor. 4. Dissolve the bicarb of soda in 200ml boiling water and gradually pour through spout of food processor whilst the blades are whirring. Pulse in the flour and then add the eggs, one at a time, mixing slightly between each addition. 5. Stir in rhubarb and stem ginger, if using. 6. 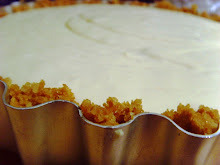 Pour mixture into the tin and bake in the centre of the oven for 50-60 minutes, until the cake springs back when pressed and is nicely browned on top. 7. Leave to cool in the tin for five minutes and then turn out 'upside down' onto a wire rack to cool, so that the rhubarb (which will likely have sunk to the bottom) is now on the top. Do this carefully - the rhubarb will have made the cake very moist and therefore a little tricky to handle/prone to splitting! 8. 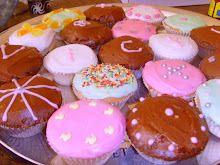 Dust with icing sugar and cut into slices. Eat within 3 days. 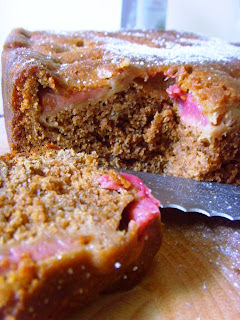 Your rhubarb cake is most "digestible" spiced up and sweetened in this lush cake. You may send this to me by post, ala fruitcake, s'il vous plait. I do need to experiment a bit with rhubarb. This looks delicious! Sadly Peter, it was a bit too digestible and there is not a slice left! Next time, I'll be sure to send you a slice. 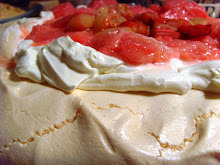 Recipegirl - I've been going a bit rhubarb crazy of late. It has all been delicious though. Indigo - you are right. '2008 - the year of the rhubarb'. It is official. The cake looks so yummy. 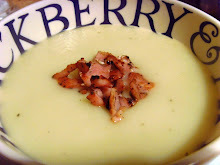 I love rhubarb and ginger together, its the perfect pairing. This post and your pictures had me drooling before breakfast. There's nothing wrong with that. I wish I was able to do all those rhubarb desserts!!! I love the use of muscovado in this cake. Yum! 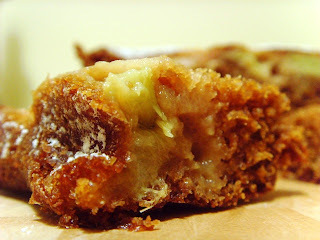 I've never baked with the combination of rhubarb and ginger but imagine it is wonderful! Wow - with a cake that looks as good as this, I'd be obsessed by rhubarb too. Great cake! Katie - I love ginger with rhubarb too - they go together perfectly. Thanks for visiting! Lore - you should give them a try as they are all very easy to make and so delicious. Thank you for stopping by. Lisa - you should try the combination, I think it is really good. Cakelaw - thanks. I'll be making this one again, for sure. Antonia, your rhubarb cake looks incredible. I've never had rhubarb but after viewing your cake it's really appealing to me. Thanks for sharing! I love rhubarb. Love it, love it love it! Never had a rhubarb cake before but I'm sure I'd love that, too. Maria - I hope you give rhubarb a try. 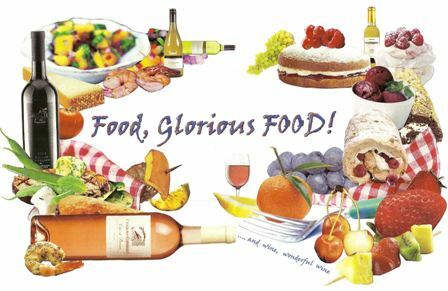 I think it is so delicious! Thank you for calling in! Scott - glad to find a fellow rhubarb enthusiast! I've got a couple of rhubarb crowns in the garden and so it's rhubarb with everything here. 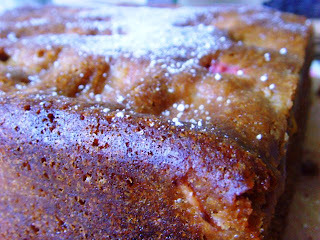 The spiced rhubarb cakes looks and sounds delicious. Rosie and Margaret - thank you for calling by. Wish I could send you both a slice of this one! 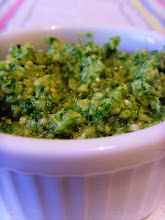 Just made this - very very good recipe. I had some molasses in the house and put some of that in it. Made it lovely and dark. Adding the ginger was a good call - might put a touch of cinnamon in next time as well. Has anybody frozen the Spiced Rhubarb cake and does it freeze well ?